Boy my Twitter has not blown up like it did this week in quite some time. That’s why I enjoy the hot stove season and offseason so much I guess. One little rumor and people start losing their minds. 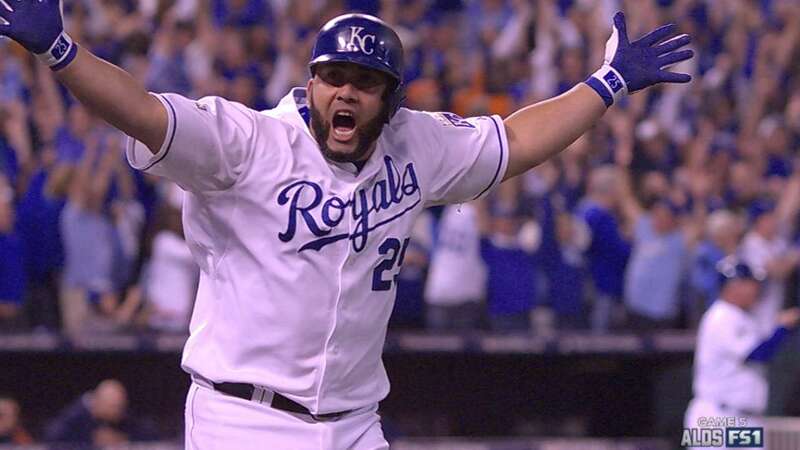 This little rumor was the rumor that the New York Yankees had inquired about the former Kansas City Royals designated hitter Kendrys Morales. Of course thoughts immediately went from Morales to the possibility of having a deal in place for Yankees catcher Brian McCann causing many Yankees fans to speculate and lose their minds. Well I was at work when all this was going down and I want to lose my mind too with speculation… so here goes. Morales would add another switch hitter into the fold and a power hitter into the fold much like the Yankees are losing this winter in Mark Teixeira. Morales hit 30 home runs during the 2016 season and does not come linked to any sort of draft pick compensation so he would make sense for any team, including the Yankees. The Yankees won’t be without their competition though as the Blue Jays and Boston Red Sox among others would also be interested presumably just looking at the current state of their rosters. This all hinges on being able to move Brian McCann though for the Yankees. I also like the fact that Morales could add some depth and insurance at first base for Greg Bird and Tyler Austin, assuming both make the roster out of spring training, which is never a bad thing to have. Morales would definitely be a Plan C or Plan D at the position, he has only played there 15 times in the last two seasons, but having someone at least familiar with the position would be a great addition to the ball club in my opinion. The power is nice, the positional depth is also nice and the fact that he is a switch hitter almost always fits in with the Yankees way of doing things. It all comes down to the contract though. At 33-years old handing out a deal any longer than two seasons just seems foolish to me. One year at most is what I would personally want to go but I can see a team like Boston giving him two or three making that a moot point. Do I want Morales? Sure, I think he would fit the squad well. Do I think the Yankees will ultimately sign him? Honestly, I don’t know. Again, this all hinges on a move for Brian McCann. I love the offseason. Stay tuned.